City Manager Eden E. Freeman began her service with the City of Winchester, Virginia on July 21, 2014. 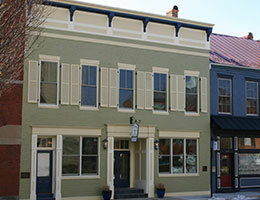 As Winchester’s City Manager, Ms. Freeman is responsible for the oversight of daily operations of the city government, achieving goals outlined in City Council's strategic plan, implementing Council policies, and coordinating community issues in a city with an all funds budget of $222 million. Ms. Freeman is an International City/County Management Association Credentialed Manager and maintains an open door policy with the community and staff. Before joining the City of Winchester, Ms. Freeman served as an Assistant City Manager in Sandy Springs, Georgia where she directly managed three departments (Municipal Court, Information Technology and Call Center) and was responsible for the City’s performance management efforts. 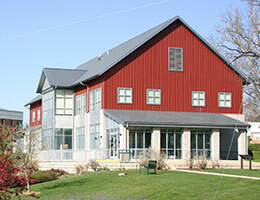 Other responsibilities included assisting the City Manager with human resources, records retention, and communications. Ms. Freeman also led the City's efforts to respond to Google's Fiber Checklist and the 18-month procurement process to re-bid the City's general government services contracts, a process that resulted in nearly $7 million a year in savings. Ms. Freeman is an active member of the Virginia Local Government Association (VLGMA) and currently serves on the Executive Committee. Ms. Freeman previously served on the Advisory Council of the National Criminal Justice Association (NCJA) and was elected to represent the Southern Region on the NCJA Board of Directors for five terms (2012-2013, 2013-2014, 2014-2015, 2016-2017, and 2017-2018). Ms. Freeman holds a Master of Business Administration degree in Management from Georgia State University and a Bachelor of Science degree in Biology from Georgia College. She is a graduate of the Senior Executive Institute at the University of Virginia and a certified vinyasa yoga instructor. The City has a dedicated team of professional and friendly staff members who strive to provide top-notch and outstanding customer service at all times. The City's first Open Town Hall meeting was held on September 18, 2018 at 6:00 pm at Rouss City Hall. All questions and answers are available on the City's OpenGov portal and a video of the meeting is available below and on YouTube. A brief overview of the City organization and operation was provided prior to the Q&A session (click here to view the presentation). Ms. Freeman distributes a recap of the City's previous week activities and accomplishments every Monday. Click here to view the reports. Since 2013, the City has used a robust strategic planning process to identify ways to improve the overall community and service delivery. On December 8, 2015, Council adopted the City's 2016-2020 Strategic Plan to outline priorities, objectives, strategies, actions and targets to accomplish over the next five years. 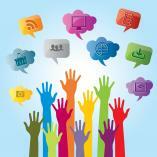 Interested in requesting that the City Manager attend or speak at your event? Submit the Event Attendance Request Form and someone with the City Manager's Office will contact you about your request. Please submit your request at least 30 days in advance. 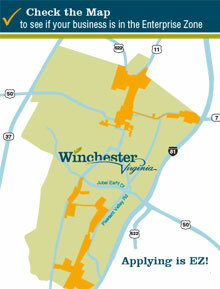 The City welcomes groups and organizations wishing to film and set up photo shoots in Winchester. Use of public property for these activities require a Special Event Permit and Certificate of Insurance.